Wow! A kitchen and dining area with a fold-away table! The key to a great granny flat is a fully functional kitchen with medium-sized fridge / freezer recess, contemporary sink and flick mixer. What more could you want? An excellent use of living space instantly comes to mind when viewing the Seashell. Whether you're lounging on the couch watching TV or taking in the outdoor scenery through the sliding doors, this home has it all! The picture-height windows also add a sense of space, while the tidy cupboards with their clean lines won't disappoint. 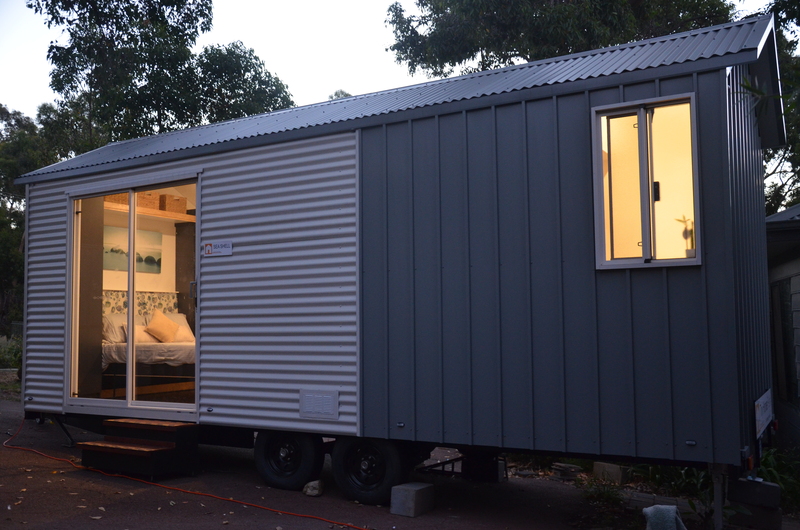 Ask Tiny Homes Perth about our external cladding options to suit any surroundings. 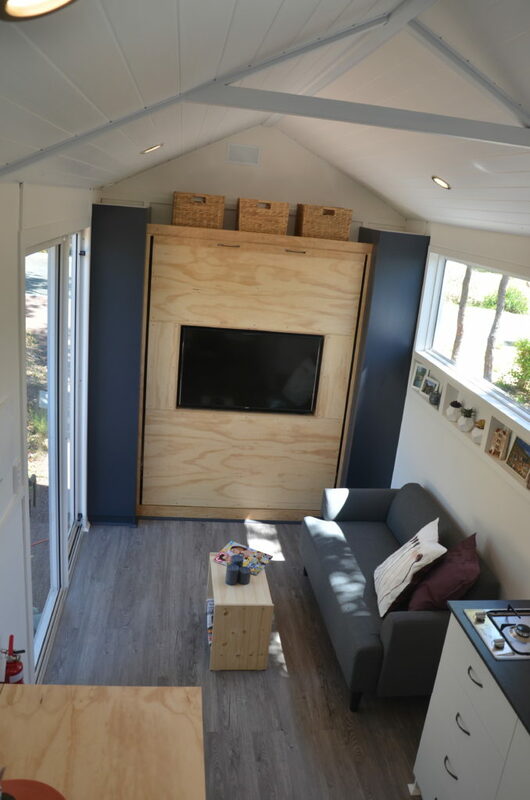 At Tiny Homes Perth we can help you to create your own design, from concept to completion. 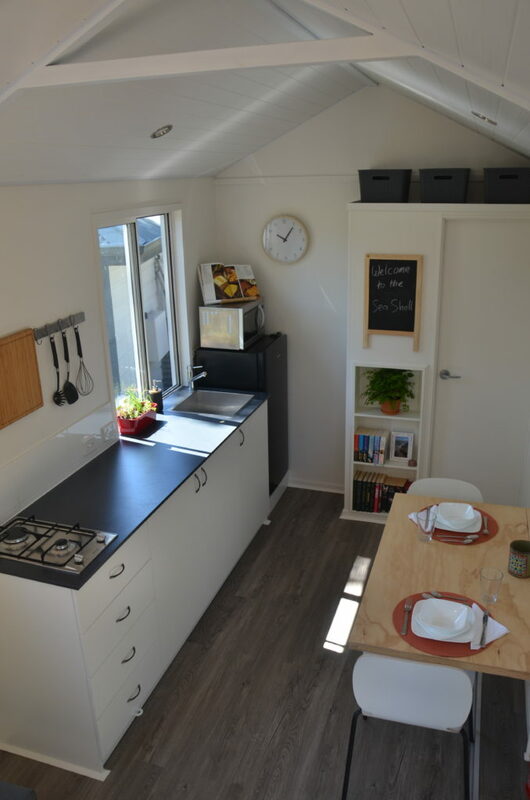 Contact Tiny Homes Perth today.